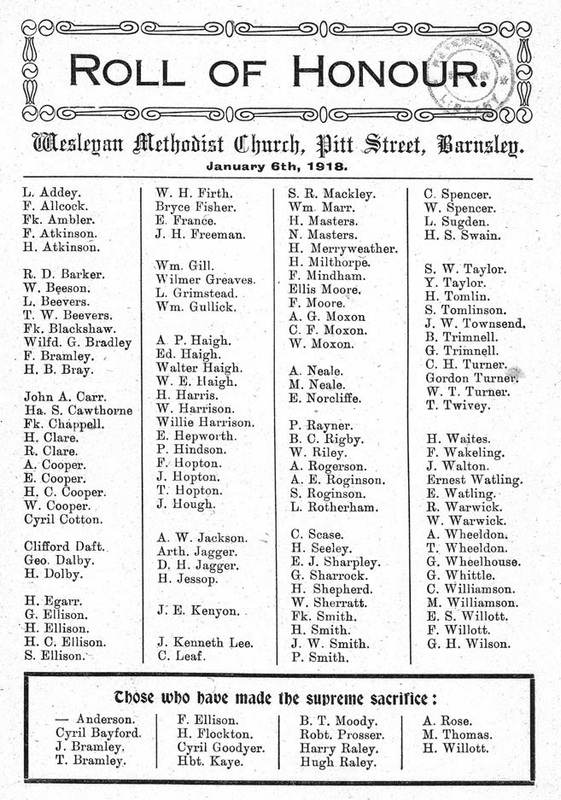 This Roll of Honour and further information about the Pitt Street Methodist Church can be found in Barnsley Archives. 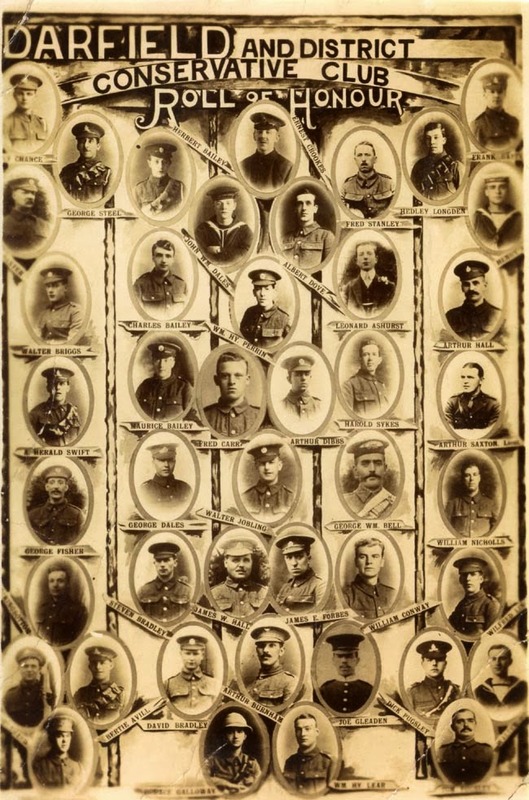 This document lists 15 men who were killed and 122 men who also served in the war, it is dated 6th January 1918, so it is almost certain that it was not a complete list. There may have been other versions - was it published in a church magazine? 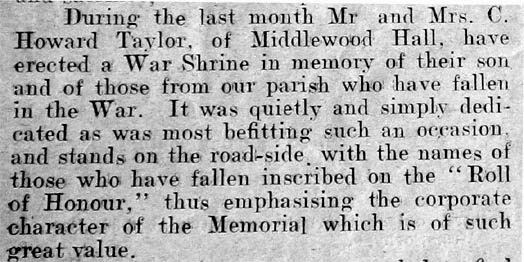 Newspaper research by Barnsley Historian. 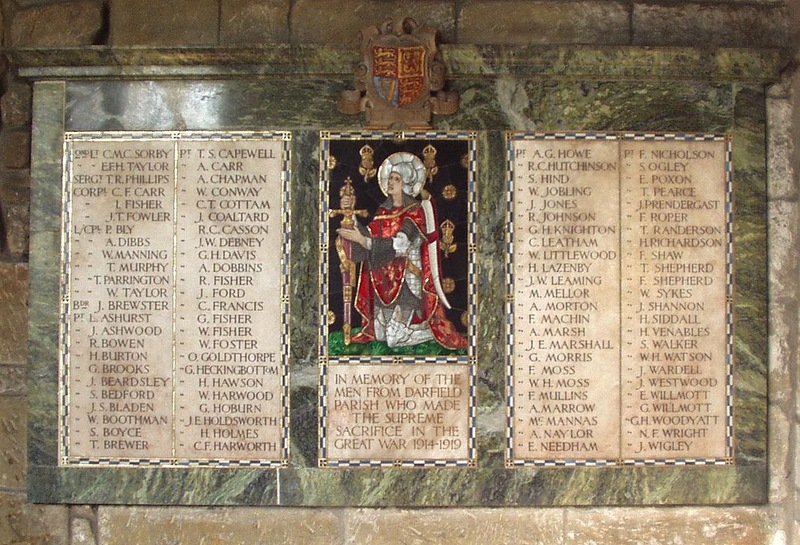 There appear to have been no names on this tablet, however a Roll of Honour exists for this chapel which can be seen in Barnsley Archives and here on our site. 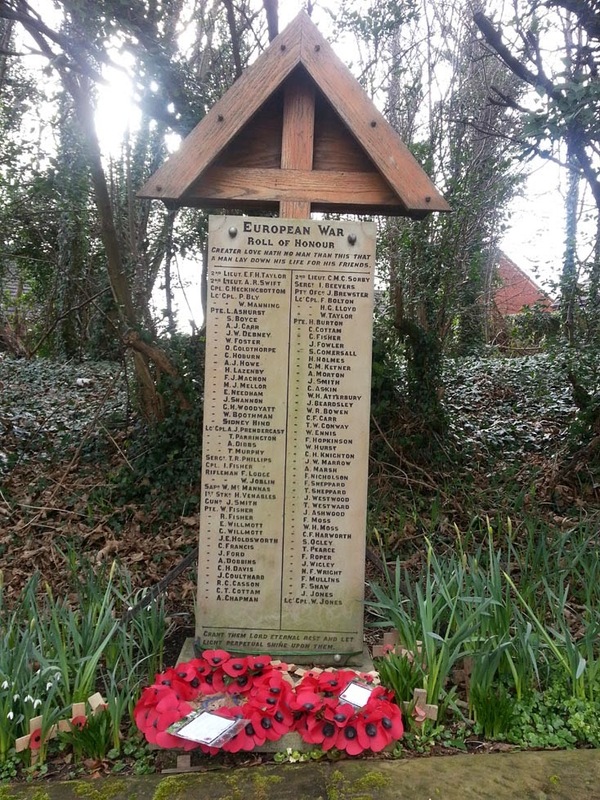 It lists 15 men who were killed and 122 men who also served in the war, it is dated 6th January 1918, so it is almost certain that it was not a complete list. 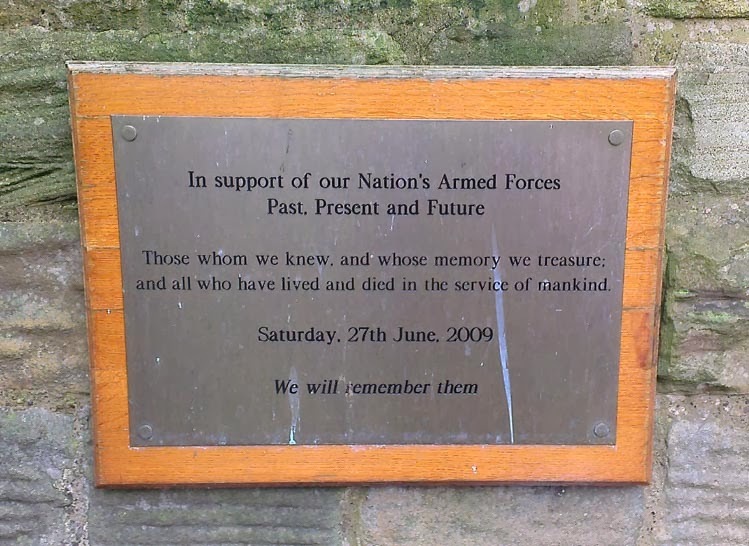 There are no soldiers' names on this memorial. Image above courtesy of Brian Elliott and used in his book Barnsley 1890s -1990s published by Sutton Publishing in 2001. 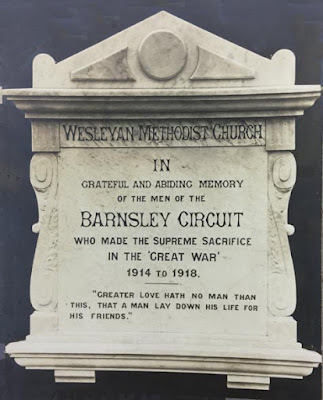 Another version of the image is available from Barnsley Archives in their Darfield Research collection. The original was a Warner Gothard montage postcard. 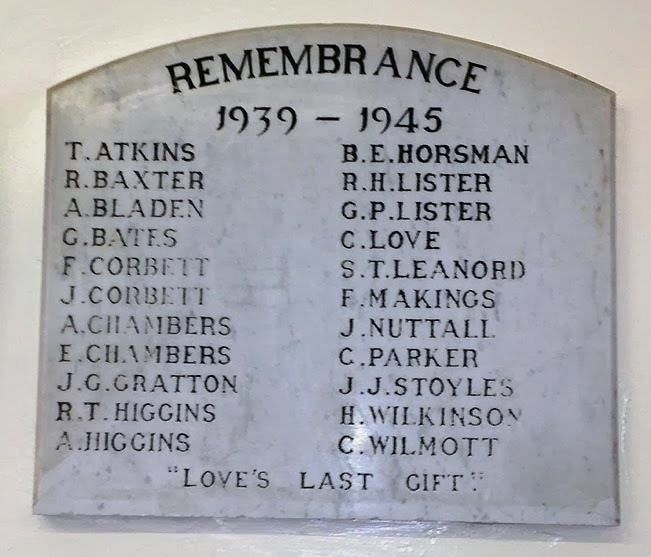 It may have been commissioned by the Darfield and District Conservative Club in remembrance of their fallen members, a large framed copy of a similar image has recently been put up in the club on School Street on Darfield. 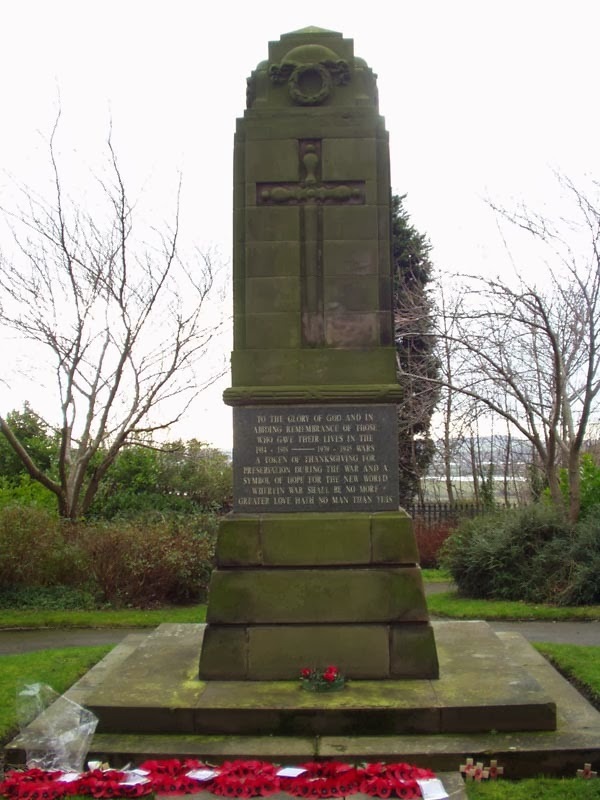 This memorial is now listed as being in Welfare Park, but there is an inscription on the old gatepost at the park entrance, "Miners Welfare Square 1923". 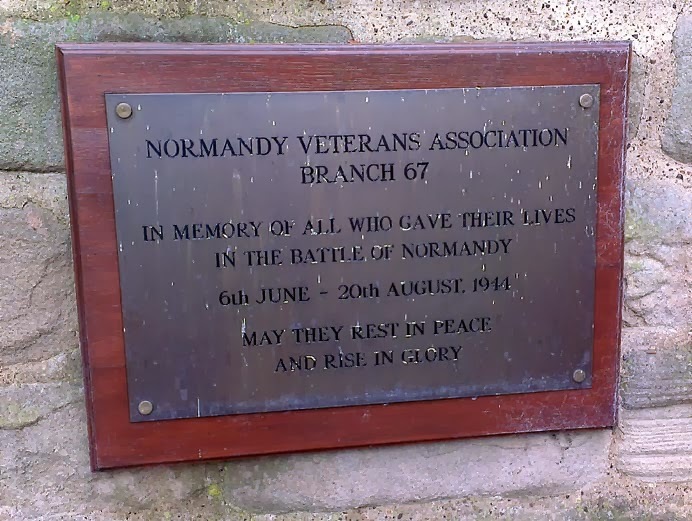 There was a previous Normandy Veterans Association Memorial and this is listed here. 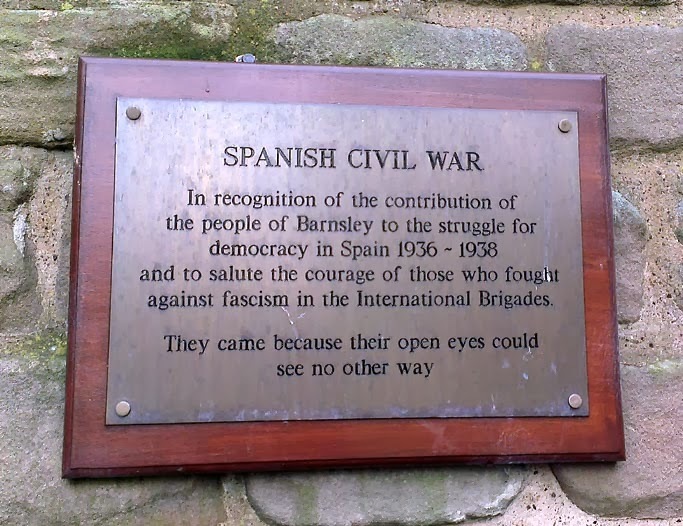 In recognition of the contribution of the people of Barnsley to the struggle for democracy in Spain 1936-1938 and to salute the courage of those who fought against fascism in the International Brigades. They came because their open eyes could see no other way. In support of our Nation's Armed Forces Past, Present and Future. 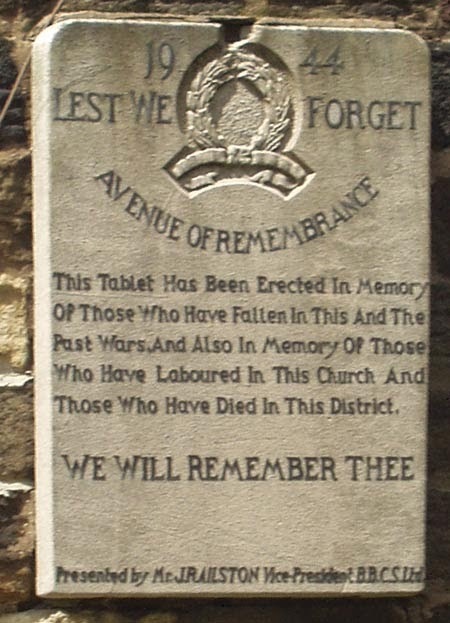 Those whom we knew, and whose memory we treasure, and all who have lived and died in the service of mankind. 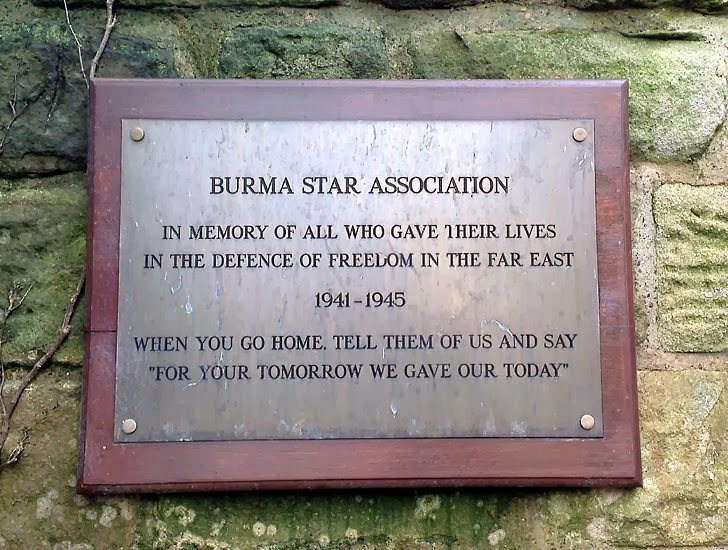 When you go home tell of us and say "For your tomorrow we gave our today". 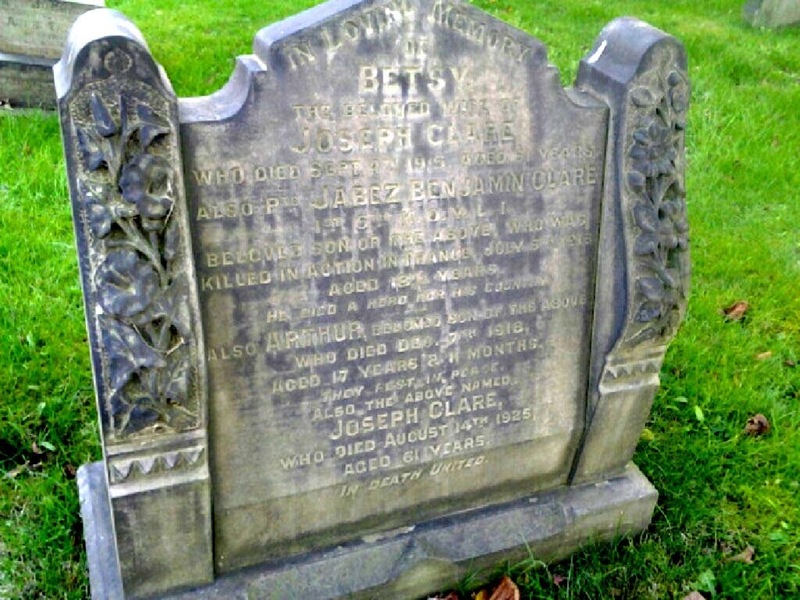 In loving memory / of / Betsy / the beloved wife of / Joseph Clare / who died Sept 4th 1915, aged 51 years / also Pte. Jabez Benjamin Clare / 1st 5th K.O.Y.L.I. 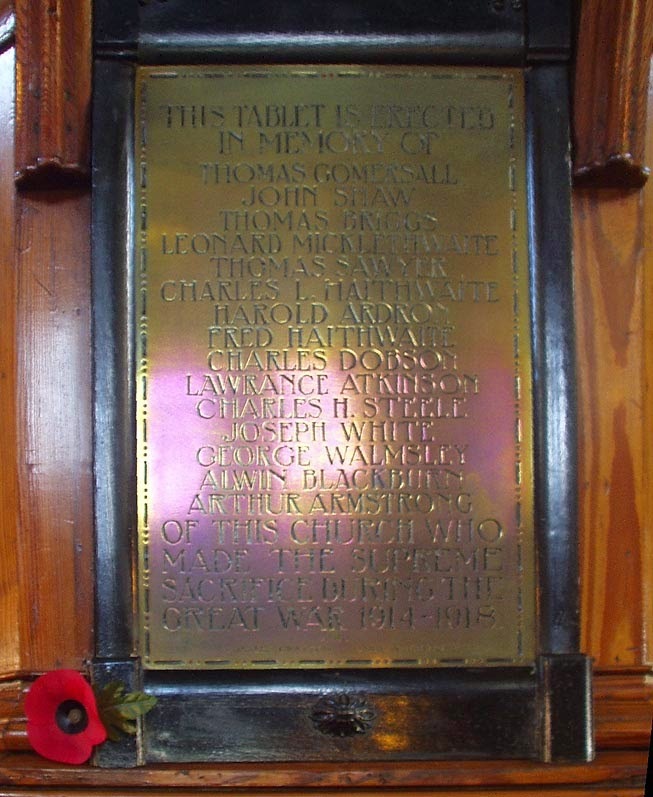 beloved son of the above who was / killed in action in France, July 5th 1916 / aged 18½ years / He died a hero for his country / also Arthur, beloved son of the above / who died Dec. 7th 1918. / aged 17 years & 11 months. / They rest in peace / also the above named Joseph Clare / who died August 14th 1925 / aged 61 years. / In death united. 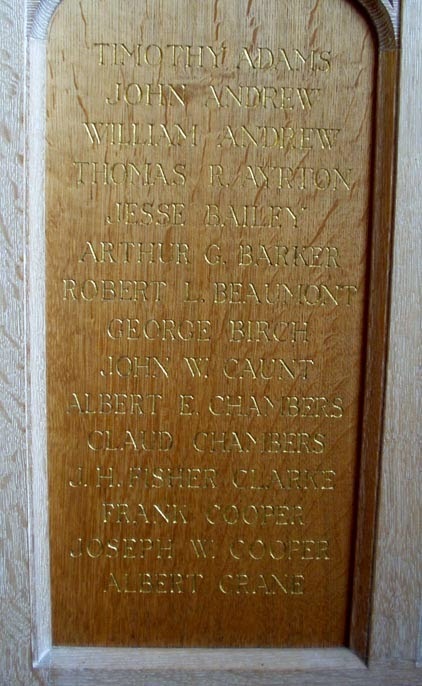 Read more about Jabez Benjamin Clare on Barnsley Soldiers Remembered, he is also remembered on the Cudworth War Memorial. 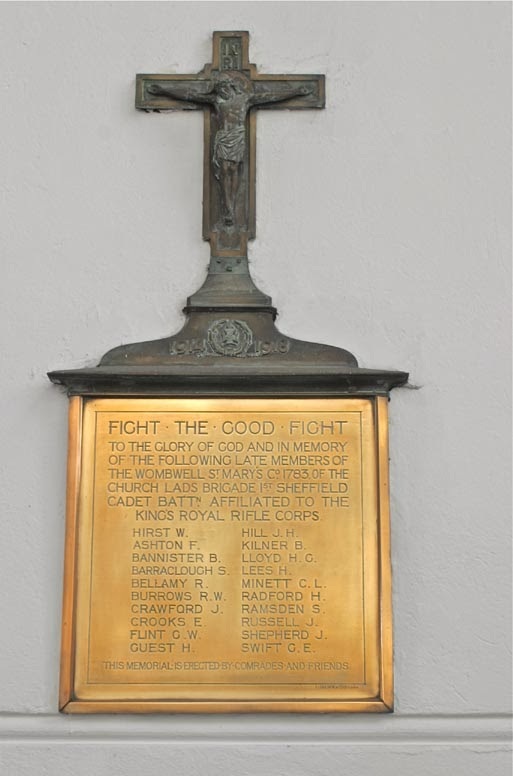 The Cudworth Local History and Heritage Group's book, Lest Cudworth Forgets, includes more information on him. 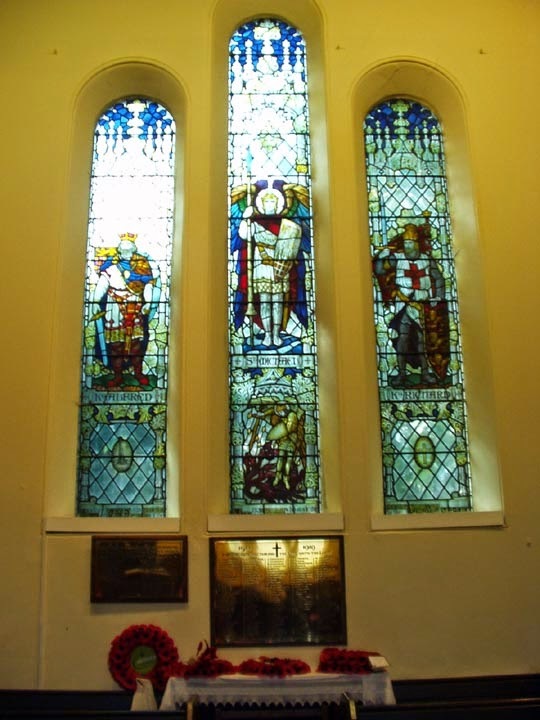 This plaque accompanied a Memorial window described in the cutting below. 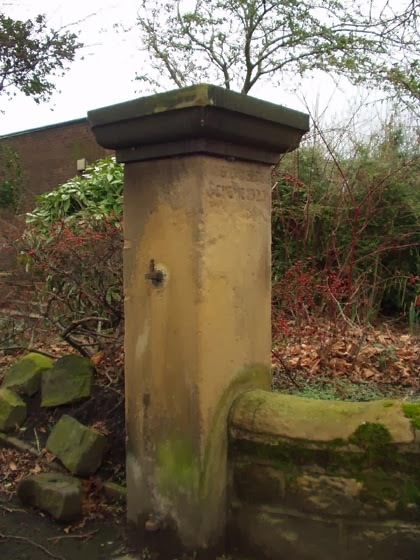 Photograph and newspaper research by Barnsley Historian. 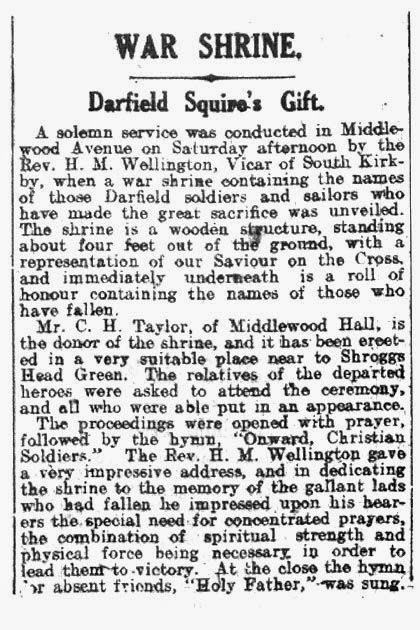 This is the description of the window from the Barnsley Chronicle 26 March 1921. 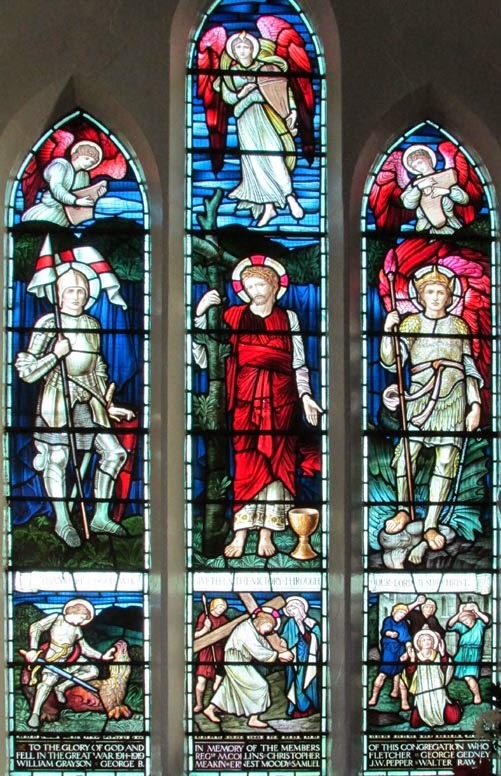 "The centre panel, representing St Michael, depicts the victory of good over evil; in the light on the right King Alfred is portrayed as the originator of he first permanent army and navy in the country, while underneat the symbol of a lamp represnts his introduction of learning into the country. In the left-hand side light Richard Coeur de Lion is presented in his character as leader of the Allies in the war againsy the Turks to free Jerusalem. 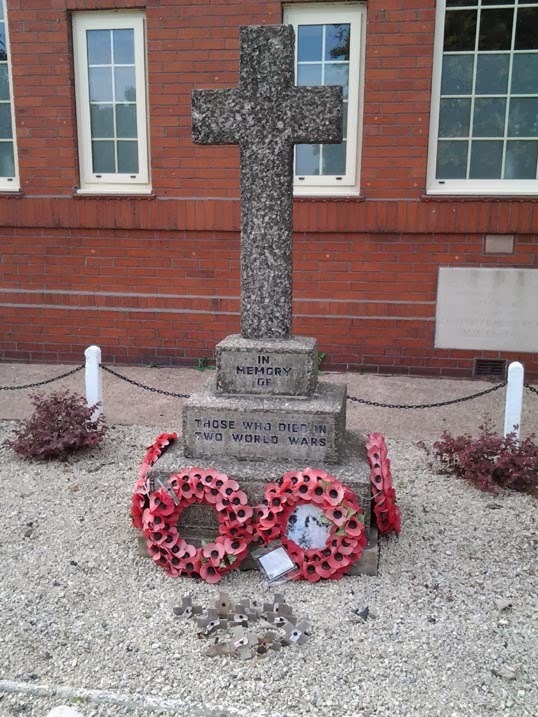 Underneath is a cross, symbolising the Crusader as the precursor of the British Forces who in present day have freed Jerusalem from a foreign yolk." 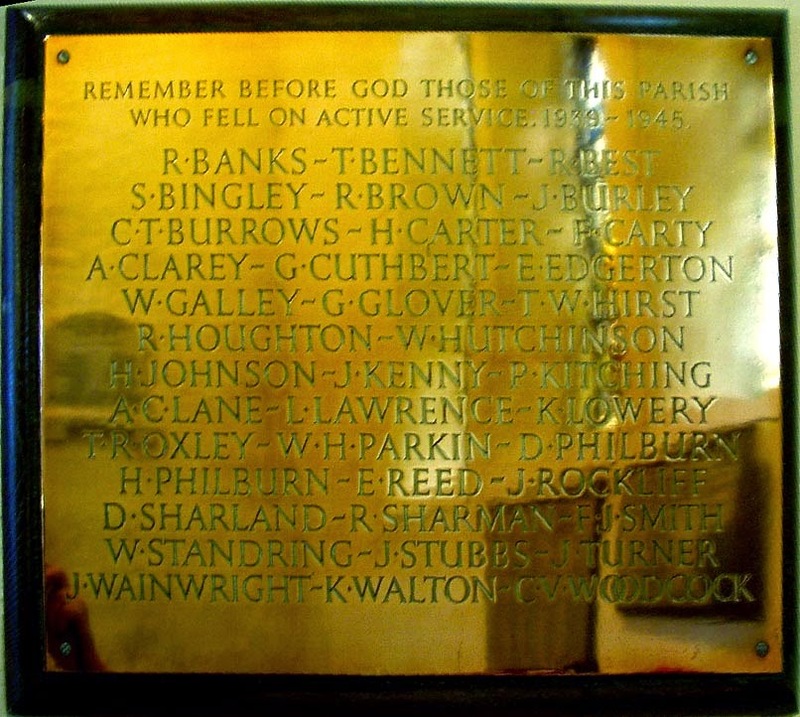 The 153 names of the Fallen men associated with this window are listed on the brass Memorial Tablet that accompanies it. 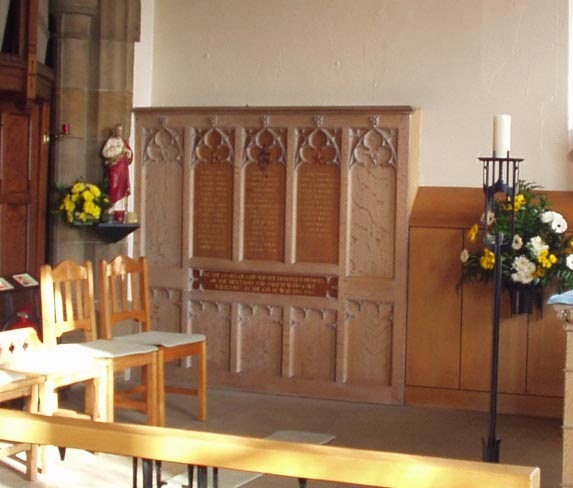 Both were unveiled on 19 March 1921. 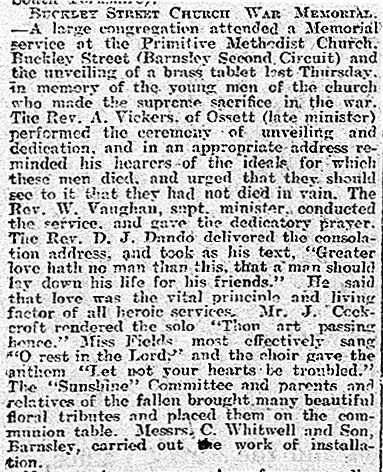 The newspaper cutting reporting the unveiling can be seen on the page for the brass tablet. 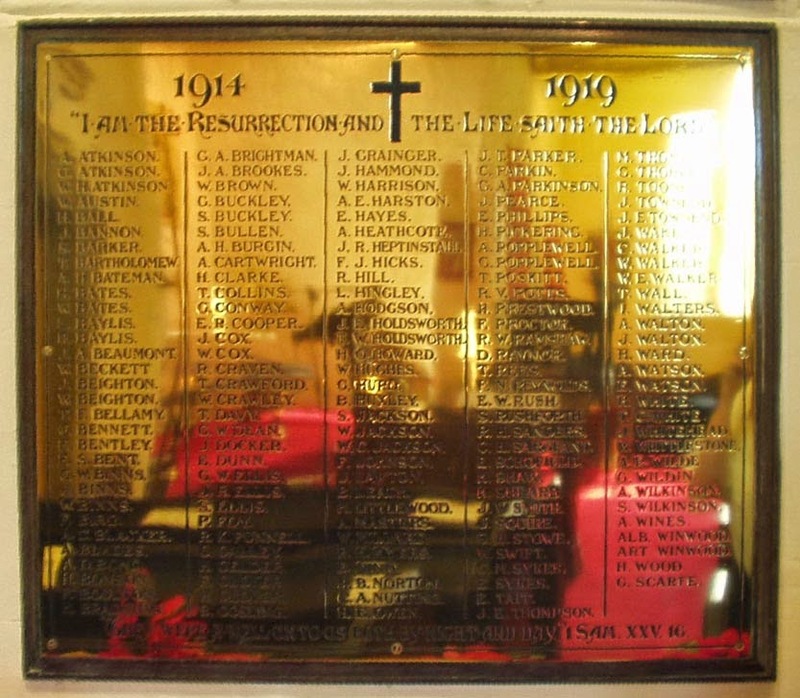 Further Information: "The Roll of Honour is a splendid work of art, and reflects credit upon the artist, Mr Joseph G Alexander of Racecommon Road. 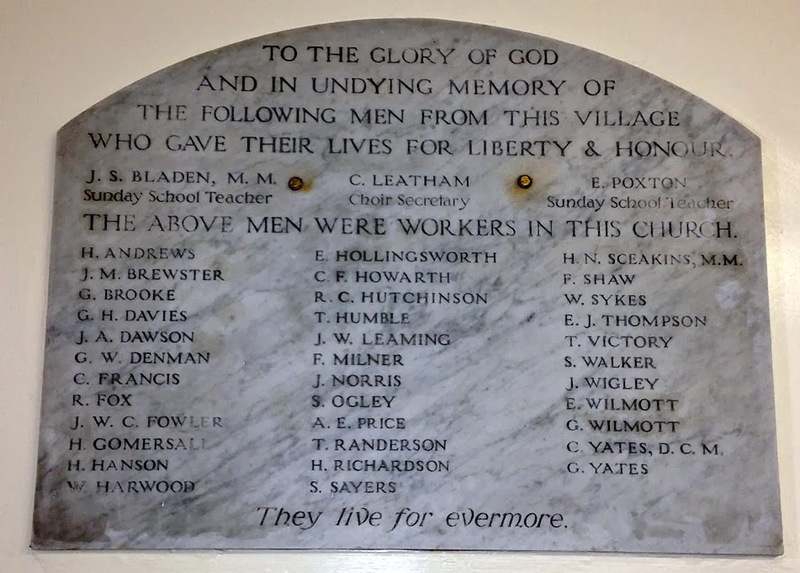 Photographs of the two members who sacrificed their lives are affixed, and their names are first mentioned in the list given below." 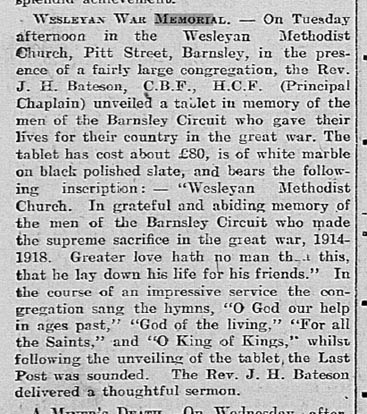 Barnsley Chronicle 12 February 1921. 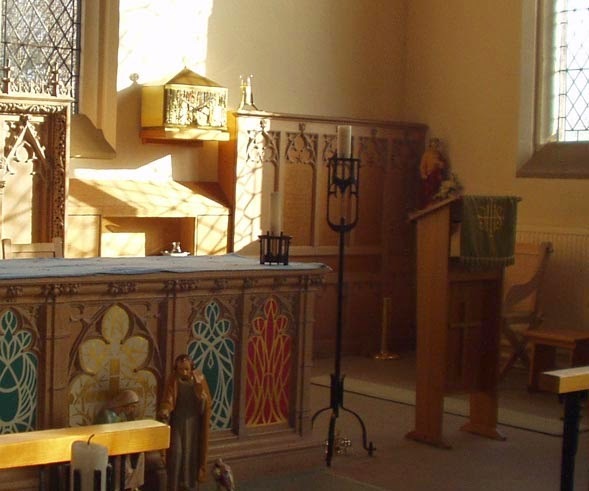 Moved from the old chapel when it was demolished.